Large outside wall lights can provide safety and security for family, employees and guests while adding attractiveness to the exterior of your home. Various styles of large outside wall lights can be used for garden lighting, porch or deck lighting, or to provide light for your garage or carriage house. If someone in your home works or comes home from shopping or social events after dark or you have a business that operates after dark having exterior wall lights provides an extra margin of safety for your family members or people visiting your home or business. Large outside wall lights placed beside your home’s or business’s door, your garden wall, or carriage or garage wall can provide lighting to see by so people can safely make their way to your door. In addition, outdoor lighting can help keep burglars from targeting your property. Most burglars tend to avoid properties that are well lit because it makes it easier for home owners and neighbours to see what they are doing and increases their risk of being caught. Large outside wall lights actually increases the usefulness of your property. When your patio or the exterior of your home is well lit you can spend more time outside after dark when the weather is nice. Outdoor lighting allows you to make more use of your outdoor living space since you are not limited to only using the space during the daylight hours. Outdoor lighting also increases the value of your property. Due to the increased safety provided by exterior wall lights and their ability to increase the attractiveness and usefulness of your home’s exterior outdoor lighting actually increases the overall value of your home. Should you decide to sell your property those outside lights can actually result in your property selling for a higher price. LED large outside wall lights are extremely energy efficient allowing you to light the exterior of your home for less. LED garden lighting is long lasting giving you roughly 20,000 hours of light. 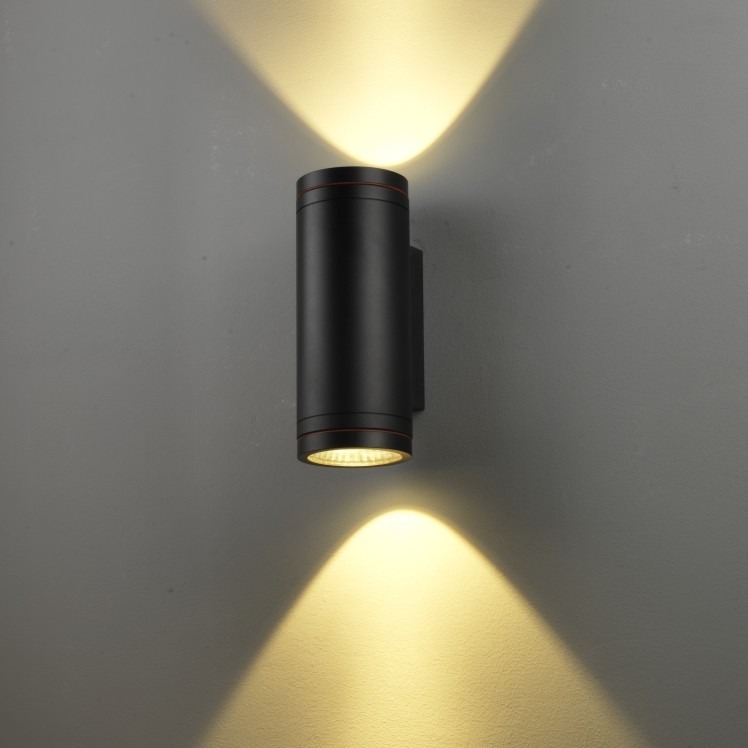 Here at Ultra Beam Lighting we offer a nice selection of high quality and attractive LED outdoor lighting including several large outside wall lights. When manufacturing our Exterior wall lights we use the very latest LED technology and our lights are designed for outdoor use. Our LED exterior lighting is suitable for both home and commercial lighting. If you are unsure of what type of exterior wall lighting is best suited for your home our experts will be more than happy to assist you. To learn more about large outside wall lights you can speak to our online representative or give us a call at 0800-678-5156.